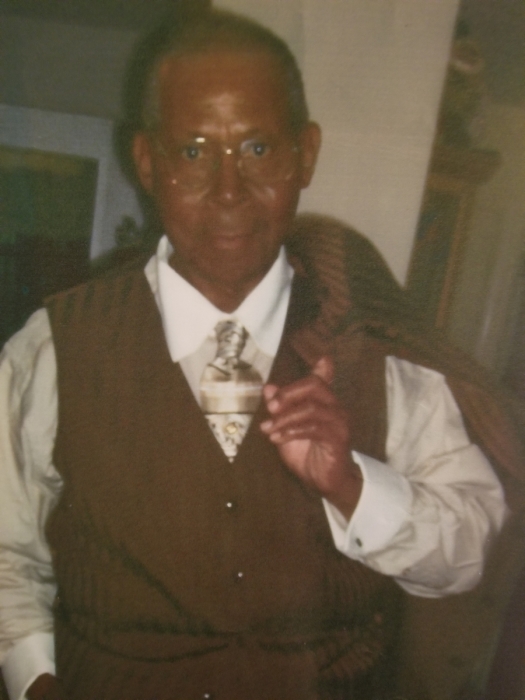 Deacon Gus R. Alderman, Sr.
Rance Augustus Alderman – was born to the late Leila and Rance Alderman on October 29, 1927 in the Lessie Community of Nassau County, Florida. He was a lifelong resident of this area. He worked in the Pulpwood – Logging Industry from an early age until retirement. He joined the Mount Horeb Baptist Church and became a Deacon in 1986. He worked diligently as a Deacon (taking care of the orphaned and widows) in this community and beyond. A willing worker for the Lord he was a quiet, compassionate man whose children, sisters, nieces, nephews, grandchildren and neighbors could always depend upon. After retirement and even before, he was the community Taxi-cab, the “Lessie Mayor”, always vigilant he was the “Neighborhood Watchman”. He was an honest, loving well thought of man throughout this community, county and state. On Tuesday, April 16, 2019 “Uncle Gus, Daddy, Grand-Daddy” took his last mortal breath and his first immortal breath as he went from life to eternity at home surrounded by his loved ones. He was preceded in death by his wife of 61 years, Bernice (Bunchie) Alderman; parents, Leila and Rance Alderman; Carrie Lee Mathis; daughter, Viola Gary; grandson, Wilbert Mathis Jr.; and siblings, Ruth Cooper, Sarah Motley, Rosa Lee Washington, Mary Lawrence and Jack Alderman. He leaves to mourn his passing his dedicated and loving children, Gloria Johnson, Wilbert Mathis (Vivian), Bruce Lee, Virginia Alderman, Leomia Jones (Larry), Gus Alderman Jr. (Diana), Brenda Kemp (Freddie), James Williamson (Alma), Kenneth Williamson (Wynetta), Larry Alderman, Terry Williamson (Carolyn), Phyllis Alderman and Avis Williamson (Anita); 38 grandchildren; a host of great grandchildren; god-daughter, Covia Martin (Jonathan); brother-in-law, David Jones (Alma); special nurse, Miyanah Jones; and a host of nieces, nephews, cousins, family, church family, neighbors and friends.